In 2017, Paddle Against Plastic moved North to the Western Isles of Scotland. The Isle of Skye sits just off mainland Scotland, and is renowned for its stunning wildlife, remoteness, rugged beauty and… midges. The seas around these Western Isles are loaded with shipwrecks, very strong tidal races around countless headlands, big bodies of water squeezing between islands, cold and relentless winds, big oceanic swell and few places to land. All of which would, ideally, be avoided when travelling by stand up paddle board! Cal became the first woman to circumnavigate the island on SUP, solo. So why was this destination chosen? To demonstrate that even stunning, remote and seemingly untouched places such as this are vulnerable to plastic pollution. Cal was horrified by the amount of plastic found, affecting not just the wildlife at sea, but farm animals too. 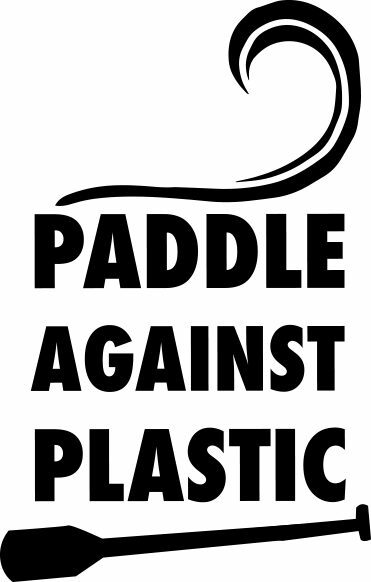 However, determined to focus on what we CAN do about it, the paddle served to empower people with an individual action plan to reduce their own single use plastic usage, in a positive and simple way. As an ambassador for Surfers Against Sewage’s Plastic Free Coastlines campaign, Cal would like to encourage anybody who wishes to make a small difference to this problem to head over to www.plasticfree.org.uk to see how you can make a difference, and to add your voice to the ever growing number of people who care about this problem. For more information about the documentary, “Skye’s The Limit”, made of this expedition, please click here: Skye’s The Limit.